Today, Consumer Intelligence Research Partners (or CIRP) released a new report that estimates how well iPhones sold relative to others. Since Apple no longer releases the number of units sold, it’s more difficult to know exactly how well the iPhone is selling especially since multiple reports have showed signs of iPhone sales dwindling. This year, iPhone XR sales made up 32% of iPhones sold in the first month of availability while the iPhone XS and XS Max collectively made up 35% of Apple’s market share. 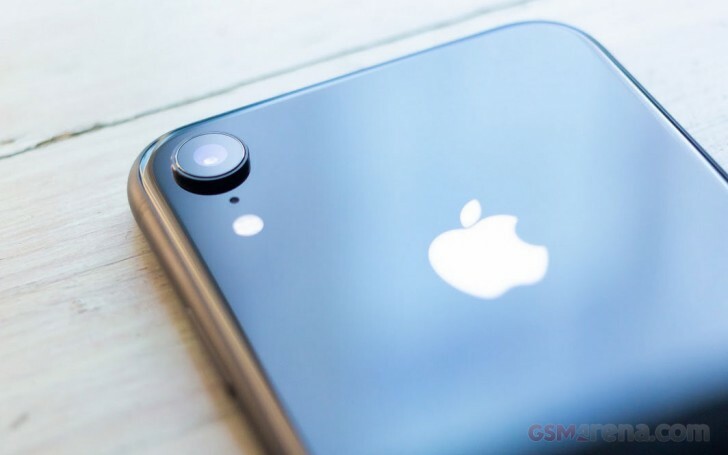 Apple took a different approach to the release of its smartphones this year – it immediately released the two more expensive iPhones about a whole month before Apple launched its newest entry-level tier to allow more time for loyal iOS users to upgrade to the latest and greatest. By contrast, in 2017, the iPhone 8 and 8 Plus were released right away and the iPhone X was delayed about a month from its announcement to let the hype build up. 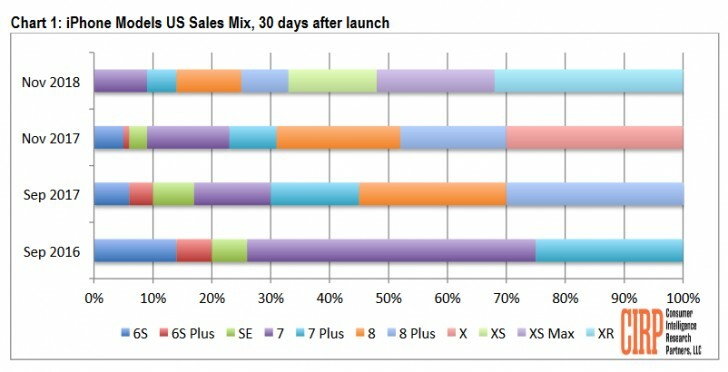 The iPhone X went on to sell 30% of iPhone market share relative to the other iPhones in its first month of availability. According to the same report, 82% of customers upgraded from older iOS devices while 16% upgraded from Android. The 2017 launch saw slightly different numbers: 86% upgraded from iOS while 11% made the switch from Android. Based on these percentages of iPhone sales, the new 2017 iPhones yielded 69% of total iPhone market share while this year’s iPhones represented 65% share, a drop of a few percentage points. It’s worth noting that these numbers are estimated based on 165 participants surveyed following the release of the iPhone XR within one month of its launch date of October 26 2018. '1440p' pentile with 2 subpixels ~= 960p full color pixels. Vs. 828p full color pixels on an XR, there really isn't nearly as much in it as some people like to think.